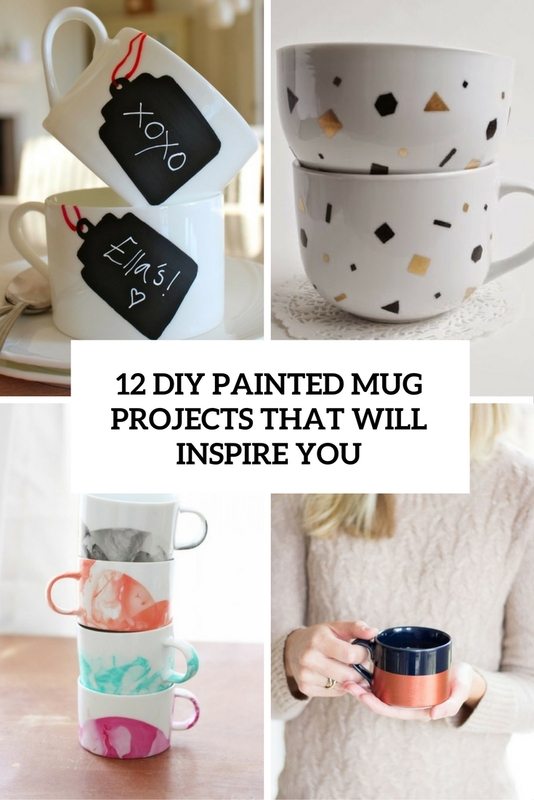 You may have seen a lot of crafts for personalizing usual plain mugs but today I’m going to inspire you with new and fresh ones projects that will make you grab some mugs and renovate them. 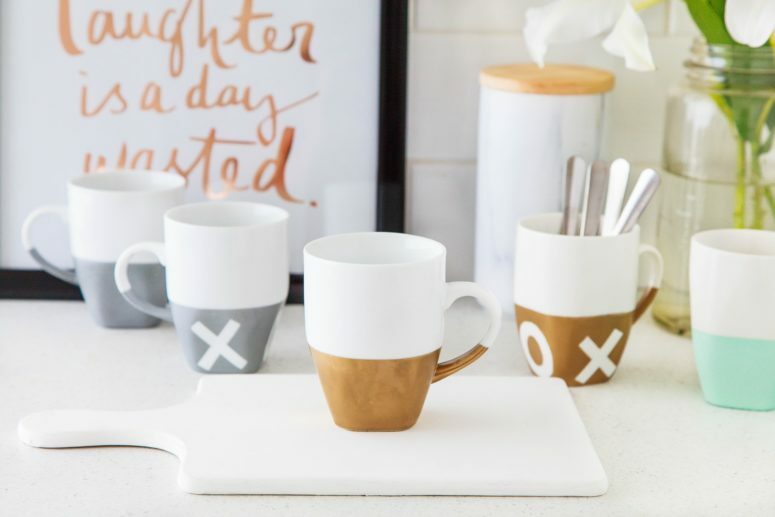 This roundup is dedicated only to paint projects, we won’t use any sharpies, so turn on your imagination and grab plain mugs to start creating. The first project is navy mugs decorated with white paint hastags and various words, you can vary them as you like but keep the paint bold white to make it contrasting with the dark mug. 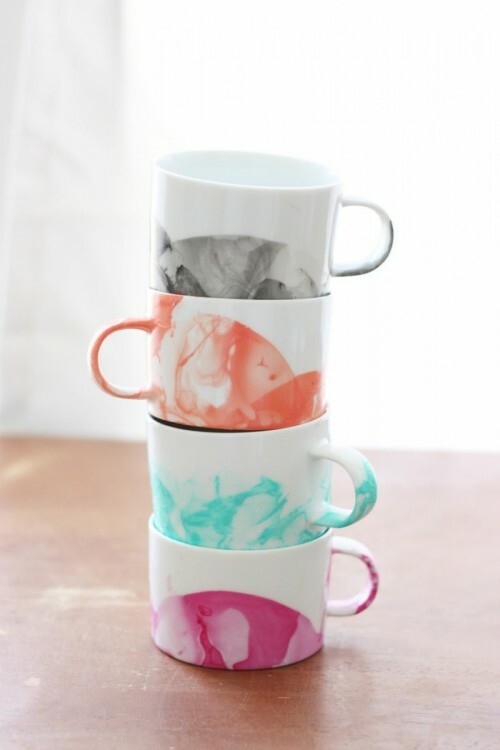 Marble décor is super popular right now, and these cute mugs can be easily marbleized. You need nail polishes of your favorite shades and some white mugs, just dip them into the nail polish solutions to create unique looks. 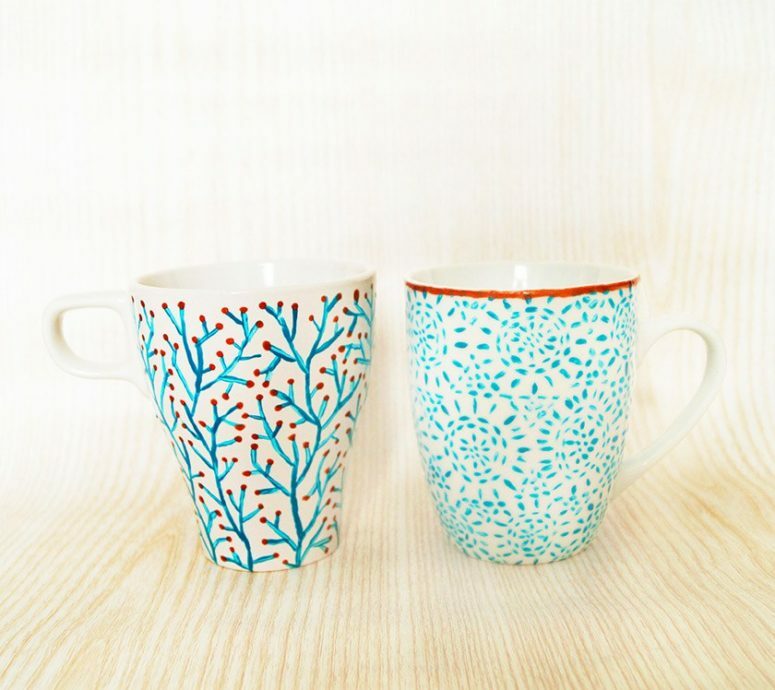 These mugs are decorated in blue, the patterns are very cute and subtle. Wanna know how to realize them? Read the tutorial. Metallic décor is on top now, and this tutorial is the easiest ever – you can get a stunning trendy mug with a metallic accent without too many efforts. 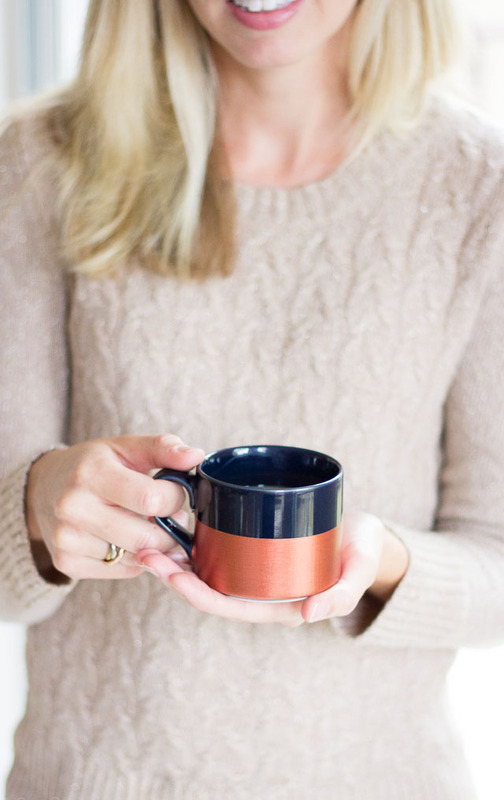 This coffee mug was created just dipping the mug into copper paint, so easily! Got a romantic mood? Preparing for Valentine’s Day or other romantic occasion? Make these XO mugs! You don’t really need pictures of the how-to. It’s basically a paint-whatever-you-want-on-the-mug situation. If you don’t have the best hand-writing then jotting down an X and an O are perfect. Need an easy gift idea? Or maybe you want a cool new mug for your desk at work? 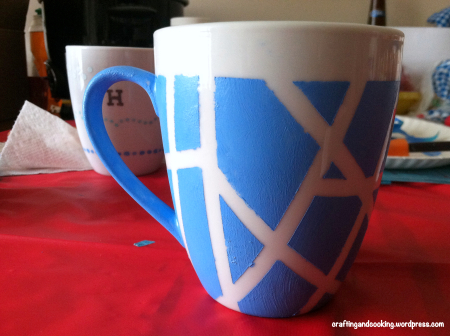 Grab an inexpensive, plain mug and some glass paint to make your own personal, modern patterned mug! Here the mugs are scalloped but you can opt for different patterns. Confetti gives a feeling of holiday anytime, I love them very much. 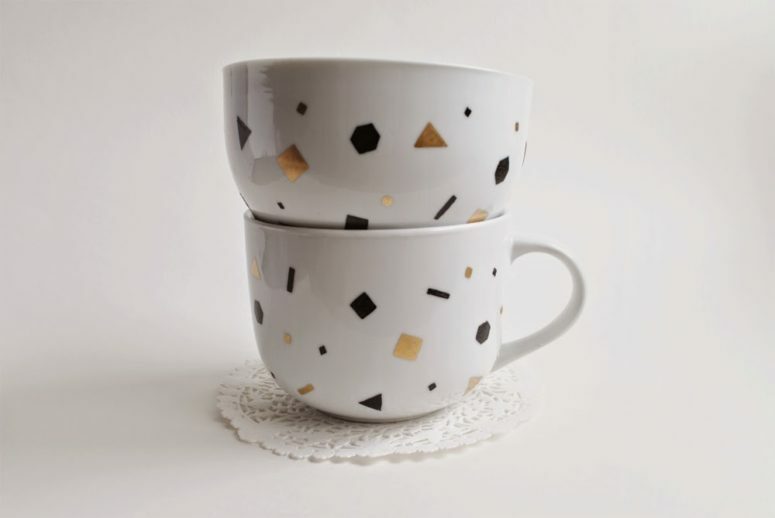 If you want to bring some festive vibe to your everyday life, paint your mugs with confetti of different shades and use various shapes of them, too. 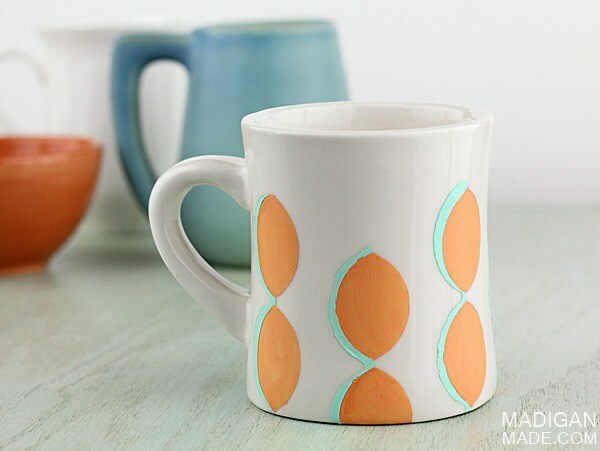 These geometric mugs are great and super easy to make. Just tape them in the way you like and to receive the patterns you prefer. Then apply paint, as many coats as you need, let them dry and voila! These XO mugs were made using satin spray paint. 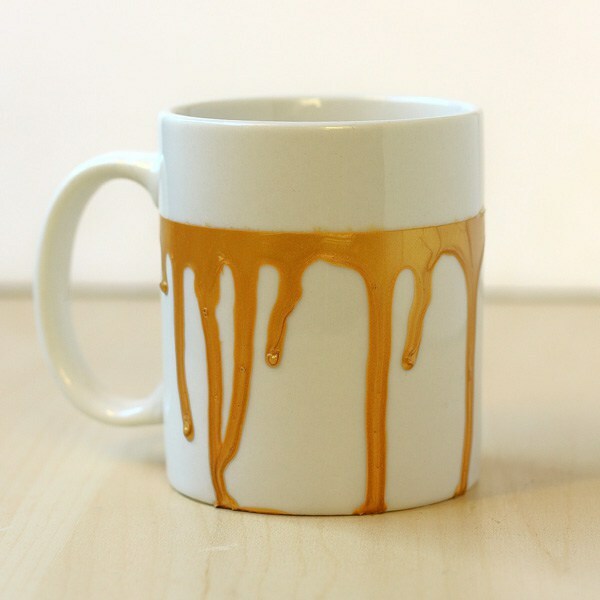 The mugs are totally on trend at the moment with a simplistic design and metallic paint job to delight your loved one. This project won’t take hours to complete, and the effect of a set of these mugs together is pretty spectacular. Only a handful of materials is required to create them which make them easy on the hip pocket. 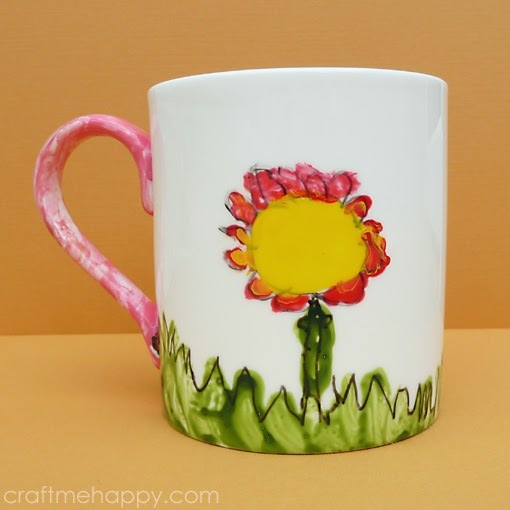 Transform a plain mug with ceramic paint. Dishwasher safe and no special artistic skills required! Drip is a trend now, and besides you can make some blood drip cups for Halloween. I love these mugs because they are chalkboard ones! 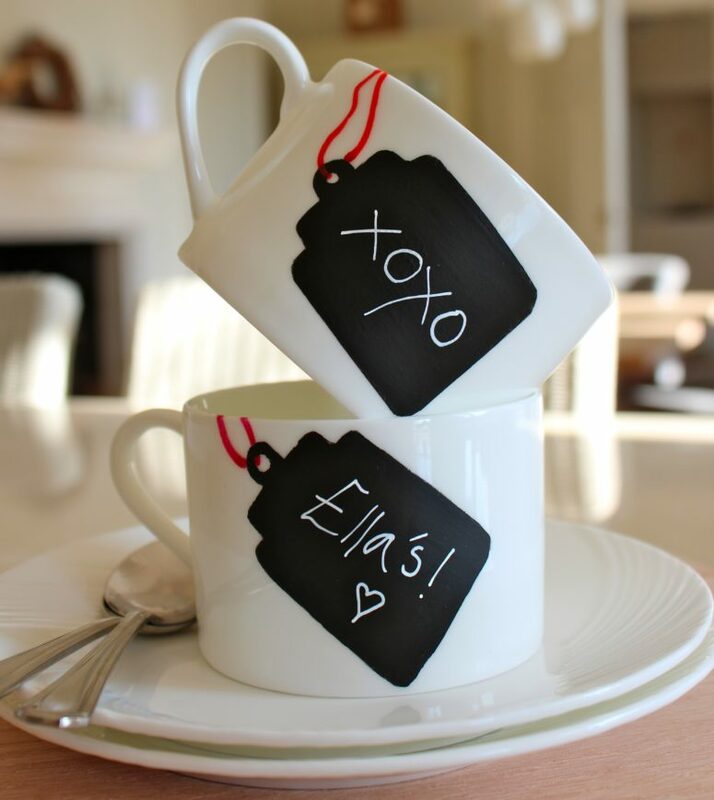 First make tags on the mugs and then cover them with chalkboard paint. Use chalk marker pens to personalize them! Have kids? 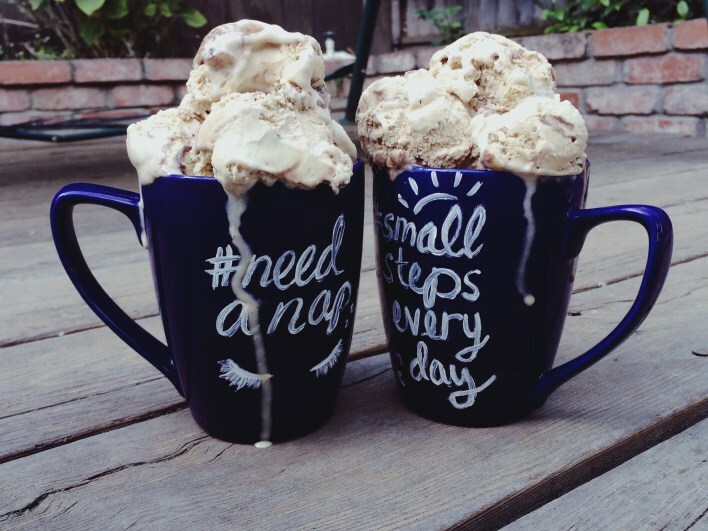 Create personalized mugs with them! Grab plain mugs and plates and invite your kids to create designs they love and characters that are their favorite ones.